Winter is here and a large portion of the Lower Mainland population are raising their après drink classes in celebration of the local North Shore mountains, Grouse Mountain and Cypress Mountain, opening up some of the terrain for downhill skiing and snowboarding! Not only are the local mountains open, Whistler Blackcomb has opened up this past weekend and locals and internationals are a buzz in excitement for a hopefully long and prosperous mountain season. The speed and unpredictability of the mountain slopes can result in numerous aches, pains, and serious injuries for skiers and snowboarders. A fall onto any surface from powder to packed snow groomers can result in various areas of discomfort and stiffness. Neck and lower back strains, from mild to severe, are common complaints that can often be put to rest with a few chiropractic appointments. 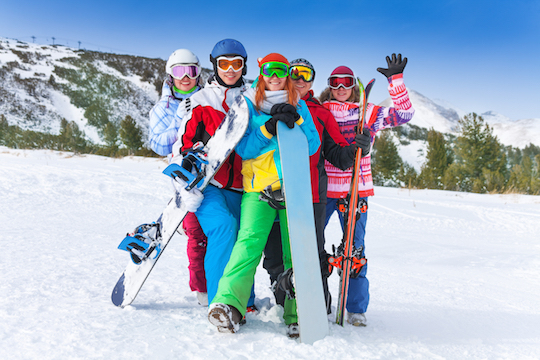 Other common areas that chiropractic and Active Release Therapy (ART) can help with are skiing injuries to the shoulder, thumb, knee, hip, and foot. Foam rollers and stretching prior to and after hitting the slopes can be great to help loosen up the body but access to a roller and space to do it are not always practical. Grab a lacrosse, ball hockey, or tennis ball and try to dig into those gluts and hips as well as quad and hamstrings. Body weight squats and lunges are highly recommended prior to strapping into skis or a snowboard, as well as jumping down into a downward dog/upward dog routine with a few warrior poses for 3 minutes before hitting the slopes. Interested to find out how chiropractic can enhance your ski season this year by allowing you to spend more enjoyable and pain free days on and off the hill? I will gladly have an in-person or teleconference consultation to discuss how you can benefit from individual treatment plans of chiropractic and myofascial release. Contact us today at 604-687-7678 to discuss your health treatment options and to develop a prevention routine!